Angela has training and education in both dental assisting and dental hygiene. She once worked for a dentist in Switzerland for a year and was able to travel the country. 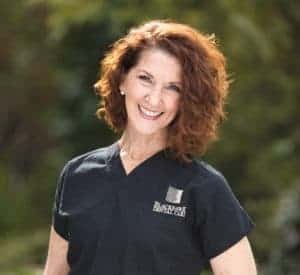 She’s stayed busy doing dentistry for the last 30 years and has been a member of the Blackhawk Dental Care family since 2008. Angela loves taking the time to get to know patients and educate them about the importance of caring for their smile to create a healthier, happier mouth. One of her favorite things about working as a hygienist is seeing the before and after effects of her patient treatment. Angela loves it when patients have an “Ah Ha” moment about dental hygiene and really start to love their smile. Patients and coworkers love Angela because she’s detailed, bold, fun, and caring. When she’s not working, you won’t find Angela sitting around her house. She loves being active, going to the beach, camping, and traveling to new places. Rita joined the team in 1995 with the previous owner Dr. Hamblin. She has been serving many of her patients, now friends for the last 20 years! Rita graduated from the University of California Los Angeles Dental Hygiene Program. Rita has been working in the dental field for over twenty years and has been a loyal employee for over 30 years. While living in Southern California, Rita was an instructor at the dental hygiene clinic at UCLA Dental School. She also spent her free time volunteering at the V.A. Hospital and Free Clinic in Los Angeles. Rita is a member of the American Dental Hygienist Association, an organization aiding in the advancements in dental hygiene through education and support. Rita resides in Danville with her husband Michael and two sons, Ian and Noah. Alissa’s introduction to dentistry really began in the womb, as her mother worked as a dental assistant while she was pregnant. Because of this, Alissa grew to love spending time at the dental office, and she learned the importance of a healthy smile. 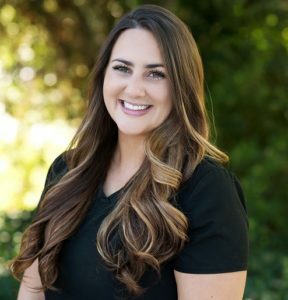 With training from Diablo Valley College, Alissa has been a member of our team for ten years and is responsible for helping patients establish healthy home habits, a brilliant smile, and a better understanding of how to take a proactive approach to their own dental care. When she’s not at the office, she spends time volunteering at her children’s, Olivia and Nicholas, school, and spending time with her family, including her husband and wild dog Roxy. Born into a family of dental professionals, Andiee knew dentistry just made sense for her. 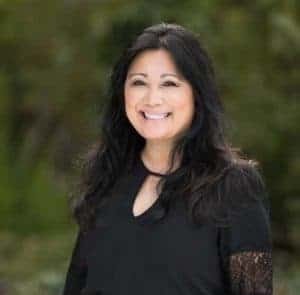 As a second career, she studied dental hygiene at Diablo Valley Community College, supplementing her BS in Biology and 2nd Year MBA from schools in the Philippines. Andiee truly values the impact her patients have on her life and is enriched by the lessons she’s learned in the industry. She believes that a healthy smile and a healthy heart are the two components of a healthy life, and she enjoys making a difference in people’s health. She’s a compassionate, dependable woman of faith, as she’s a parent volunteer for 3rd-grade religious education classes and spends her free time with her husband, Chris, and their three children, Bianca, Beatrice, and Byron. After volunteering on a dental mission to Mexico every spring during high school, Cheryl became interested in dentistry. 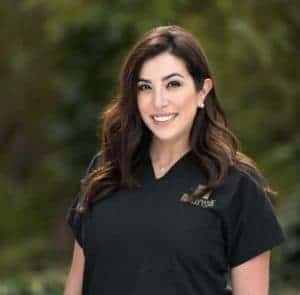 She studied at San Joaquin Valley College in Visalia, and her additional training has led to certifications in bacterial testing, laser therapy, and Invisalign. 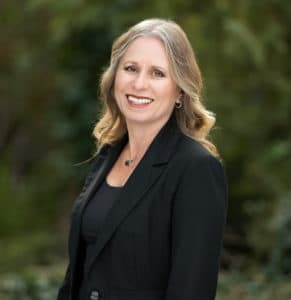 Throughout her career, Cheryl has spent 18 years as a registered hygienist, 7 as a registered dental assistant, and two years working the front office. For the past 6 years, she’s been an invaluable member of our team at Blackhawk Dental Care. Jennifer is a staple at our office, having been here for over 20 years. She takes impressions, designs your same-day CEREC crowns, and makes the treatment rooms patient-ready. 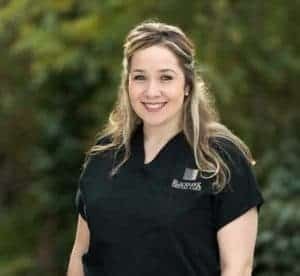 With training from Western Career College, Jennifer discovered her love for spending time with patients and creating healthy smiles, and Blackhawk Dental Care’s state-of-the-art dentistry provides the perfect environment for her to deliver personalized care. Outside the office, she’s often playing with her sweet rescue dog Josie, her family, and her friends. 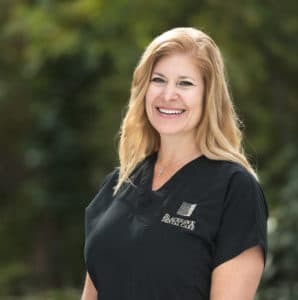 With 15 years of experience in dentistry and training from Western Career College, Lana has been assisting the doctors at Blackhawk Dental Care for three years. She loves the professionalism of the team, and that the environment allows everyone’s different personalities to shine through. There’s a dedication to each patient and a passion for improving smiles that shows with every treatment. Lana can be found spending time with her husband, son, and dog Charlie, whether it’s traveling to new locales or attending a local sporting event. Lydia will tell you right away that she loves a great smile and great teeth. That made her a natural fit to become a Registered Dental Assistant when she graduated from Mount Ida College. 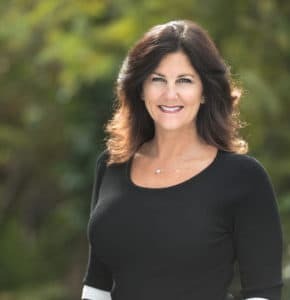 She gets to meet new people every day, and loves that our practice is able to provide a high level of individualized care with the latest technology and a team that truly cares. Outside of work, Lydia loves exercising, traveling with her daughter, shopping, and spending time with her family. We’ve had the privilege of watching Samantha grow up and flourish in the dental industry because her mother, Terri, happens to work here, too! Samantha received her education as a Registered Dental Assistant from Unitek College and is now attending Carrington College’s Dental Hygienist program while also getting a degree in Biological Science. She loves how the office runs so smoothly with everyone contributing their own personal strengths in order to take care of every patient that walks through the doors. You’ll find her reviewing schedules and x-rays, and assisting the doctors with anything that they may need during a procedure. She says she’s lucky that she gets to learn from this incredible group of people everyday. Outside of work, you’ll find her on a wake-board, a snowboard, or a stand-up jet-ski. Sarah joined the team in 2005, She has over 30 years of experience in the dental field. 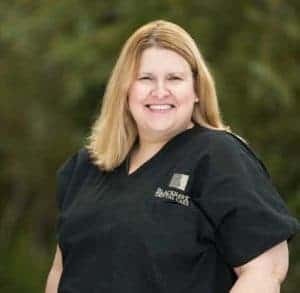 She started her Dental Assisting education in Roseburg, Oregon through Umpqua Community College and later received her license as an RDA from Sacramento City College. Sarah attended the PAC-Live Institute for Advanced Dental Aesthetics training for dental auxiliaries and spent three and a half years as an assistant in a micro-surgical endodontic practice. Her dental experience extends well past dental assisting. 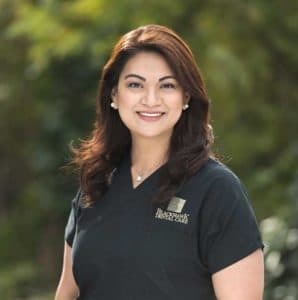 She has trained dental staff in digital radiography in Tampa, Florida and played an active role in the establishment of an endodontic practice in Durango, Colorado. When she isn’t dental assisting, Sarah is teaching Pilates or group exercise in Danville Auxillary training in Invisalign® & CEREC®. It’s about the personal attention to each patient, and that’s exactly what Ellen provides at our office. 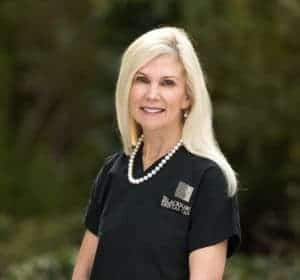 She’s been in the dental industry for 33 years and brings all her experience to Blackhawk Dental Care. She schedules appointments, processes insurance paperwork, and presents treatment plans with financial arrangements. Her favorite part of the job is helping patients find a way to make their care affordable. She’s a true caterer to every patient she interacts with. When she’s not helping her patients get the care they deserve, you may find her playing Texas Hold’em, eating gourmet meals, or laughing at a comedy show. It’s been over three decades and counting since Terri first began working in dentistry. It’s safe to say, this former registered dental assistant loves what she does and it shows in the compassionate care she shares with every patient who calls our office home. That’s why we put Terri in charge of handling all of the day-to-day duties that come with running a successful dental practice. 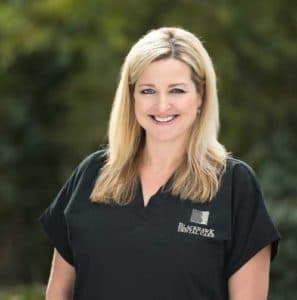 You can tell she enjoys the work that she does, helping people, helping her dental family/coworkers, and helping our team of talented dentists with a personal, caring touch. Terri is admired around the office for always being honest, funny, laid back, and caring towards others. Outside of work, you’ll probably find Terri traveling someplace fun and learning about new and exciting things. After completing the Dental Assisting Program at Santa Rosa Junior College, she began her 25-year dental career. 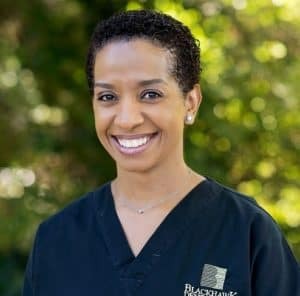 Having been with Blackhawk Dental Care for the last 5 years, she has been responsible for scheduling patients appointments, helping with insurance-related activities, devising treatment plans, and providing the doctors with the business metrics of the practice. She shows a keen ability to handle these responsibilities, as she loves when the “numbers match up”! She also enjoys the teamwork and comradery that the office staff has with each other. If she wasn’t currently serving as the Practice Administrator, she might still be working as a chairside dental assistant. Outside of the office, she enjoys the active life and spending time with her husband and family. She is also currently pursuing a degree in Business from Las Positas College in Livermore, CA.